From glow sticks to glow-in-the-dark jewellery, there's been a flurry of products in this category. 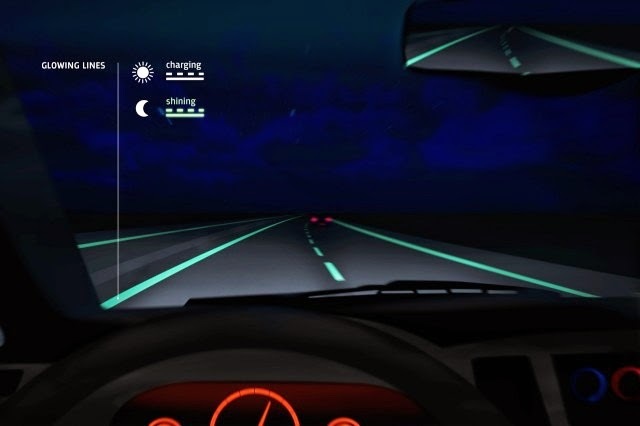 And now, you can add glow-in-the-dark roads to it. solar-powered photo-luminescent powder that was incorporated into the road paint. As BBC News reported, this paint charges up in the daytime and slowly releases a green glow at night, doing away with the need for streetlights. This technology can currently be seen on the N329 in Oss, approximately 100km south east of Amsterdam. I know. I hope more countries start using this. Ha! So crazy how sometimes technology can be both fun and practical and of course save energy and lives at the very same time. Did you also see in the Netherlands where they had a glow in the dark bike path that was meant to resemble Starry Night by Van Gogh? Thanks for sharing.